TNFR2 (p75). Each component of the MAPK pathways is differentially recruited by specific stimuli resulting in kinase-specific signaling and regulation of cell growth, differentiation, and apoptosis. There are three main MAPK signaling pathways, the p42/p44 MAPK, the (Jun activated) JNK MAPK, and the p38 MAPK. (b) The p38 MAPK is a stress-activated MAPK family that consists of four isoforms: p38-a, p38-b, p38-g, and p38-S. P38-a and b, isoforms inhibitable by cytokine-suppressive anti-inflammatory drugs, appear to be critical mediators of TNF-a-induced microtubule disassembly, actin microfilament rearrangement, and endothelial permeability. How p38 MAPK regulates microtubule dynamics in not well understood, but may involve direct phosphorylation of microtubule-associated proteins. Potential candidates are tau, a substrate for p38-g, which when phosphorylated has decreased ability to promote microtubule assembly , and stathmin, a substrate for p38-S, which can regulate the dynamics of microtubules . In addition, p38 MAPK inactivates kinesin, an ATPase that mediates plus end-directed transport of organelles along microtubules. (c) The effects of p38 MAPK activation may encompass multiple cellular pathways, in addition to the microtubule cytoskeleton (Figure 2). The actin cytoskeleton function is regulated by p38 MAPK via direct activation of MAPK-activated protein kinase-2 (MAPKAP kinase-2), which in turn phosphorylates and activates an actin-binding protein, heat shock protein-27 (HSP-27). Nonphosphorylated HSP-27 normally exists in high-molecular-weight multimers that serve as chaperones. Serine phosphorylation of HSP-27 results in the dissociation of HSP-27 into monomers and dimers with redistribution of HSP-27 to the actin cytoskeleton and subsequent actin reorganization into stress fibers. This brief review of endothelial cytoskeletal pathways engaged by TNF-a and their crosstalk with signaling pathways that regulate vital endothelial cell responses highlights the complex regulation of pulmonary vascular permeability. Elucidation of the complex orchestration of the endothelial barrier function will lead to potential therapies for the pulmonary edema seen in acute lung injury syndromes. Microtubules: Components of the intracellular cytoskeleton. They are organized intro a network that spans the cytoplasm and connects with other cytoskeletal structures. The dynamic function of the microtubule regulates the position and function of other intracellular proteins and organelles. Mitogen activated protein kinases (MAPK): Important intracellular serine-threonine kinases. These enzymes are organized into signaling pathways that are activated by specific stimuli and lead to the downstream activation of specific cellular responses, such as gene transcription and cellular apoptosis. TNF-a: A cytokine secreted by cells in increased concentrations in situations of stress, injury, and inflammation. It acts on cells by ligating specific receptors, which then trigger intracellular proinflammatory responses. 1. Dudek, S. M., and Garcia, J. G. (2001). Cytoskeletal regulation of pulmonary vascular permeability. J. Appl. Physiol. 91, 1487-1500.
alpha-induced endothelial cell apoptosis and barrier dysfunction. Am. J. Physiol. Lung Cell. Mol. Physiol. 280, L1168-L1178. 3. Gundersen, G. G., and Cook, T. A. (1999). Microtubules and signal transduction. Curr. Opin. Cell Biol. 11, 81-94. 4. Small, J. V., Geiger, B., Kaverina, I., and Bershadsky, A. (2002). How do microtubules guide migrating cells? Nat. Rev. Mol. Cell Biol. 3, 957-964. This review describes the key role of MT in cell migration, cell asymmetry, polarization maintenance, and involvement in contractility and traction. The authors discuss the crosstalk among the actin cytoskeleton, adhesion complexes, and MT and its essential role in the regulation of cell motility. 5. Nogales, E. (2000). Structural insights into microtubule function. Annu. Rev. Biochem. 69, 277-302. This review discusses the crystal structure of tubulin and MT, the tubulin isoforms, folding and dimer formation, and MT dynamics. It provides an updated characterization of MT-associated proteins and motors, stabilizers and destabilizers of MT, including new antimitotic tubulin ligands, and provides comprehensive description of MTself-regulation in the cell. 6. Petrache, I. B. A., Ramirez, S. I., Garcia, J. G. N., and Verin, A. D. (2003). 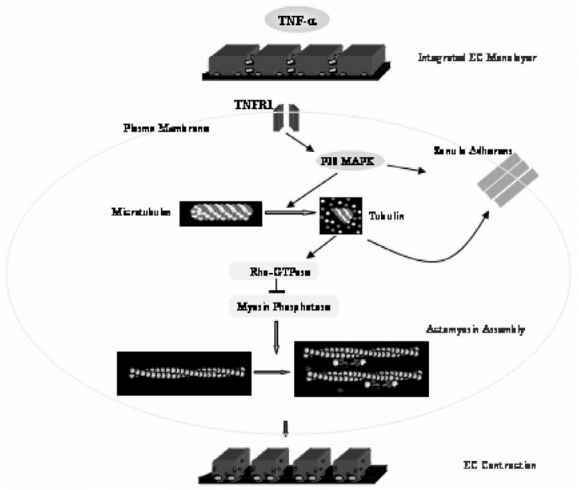 The role of the microtubules in TNF-a-induced endothelial cell permeability. Am. J. Respir. Cell. Mol. Biol. 28, 574-581. 7. Verin, A. D., Birukova, A., Wang, P., Liu, F., Becker, P., Birukov, K., and Garcia, J. G. (2001). Microtubule disassembly increases endothelial cell barrier dysfunction: Role of MLC phosphorylation. Am. J. Physiol. 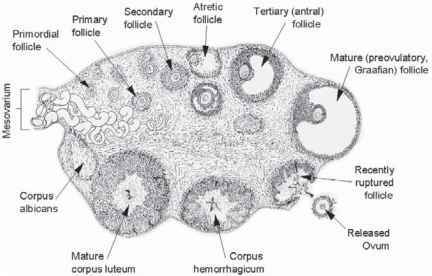 Lung Cell. Mol. Physiol. 281, L565-574. 8. Goedert, M., Hasegawa, M., Jakes, R., Lawler, S., Cuenda, A., and Cohen, P. (1997). Phosphorylation of microtubule-associated protein tau by stress-activated protein kinases. FEBS Lett. 409, 57-62. 9. Parker, C. G., Hunt, J., Diener, K., McGinley, M., Soriano, B., Keesler, G. A., Bray, J., Yao, Z., Wang, X. S., Kohno, T., and Lichenstein, H. S. (1998). Identification of stathmin as a novel substrate for p38 delta. Biochem. Biophys. Res. Commun. 249, 791-796. Dr. I. Petrache has been an assistant professor in the Pulmonary and Critical Care Division at the Johns Hopkins University School of Medicine since 2000. During her fellowship training at Johns Hopkins, she focused on studies of endothelial cell permeability induced by TNF-a. Her work is supported by grants from the NHLBI and NIH. Dr. A. Birukova was recently appointed a Research Associate in the same Division. Her research interests include molecular mechanisms of microtubule-mediated endothelial cell barrier regulation. Her work is supported by Scientist Development grant from American Heart Association. Dr. A. Verin is currently an associate professor in the Pulmonary and Critical Care Division at the Johns Hopkins University. His primary research interest includes involvement of cytoskeletal components (particularly microtubules) in the regulation of endothelial permeability. His work is supported by grants from the NHLBI and NIH. Everything you wanted to know about. How To Cure Tennis Elbow. Are you an athlete who suffers from tennis elbow? Contrary to popular opinion, most people who suffer from tennis elbow do not even play tennis. They get this condition, which is a torn tendon in the elbow, from the strain of using the same motions with the arm, repeatedly. If you have tennis elbow, you understand how the pain can disrupt your day.